It's is February. 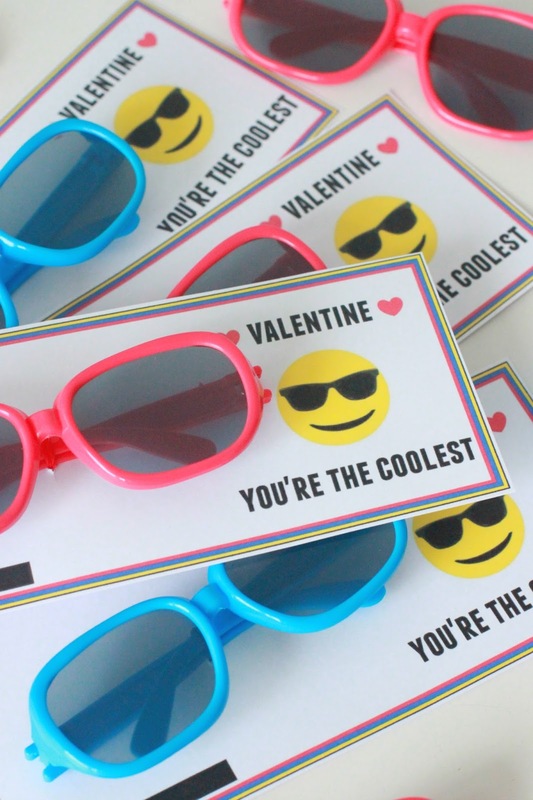 Time for some more classroom valentines. Every year I stress that I am officially out of valetine ideas. One of my favorite ways to spark ideas is to hit my stores party aisle. I peruse around and just let my brain wonder. This year I found these sunglasses and immediately jumped on the emoji band wagon. 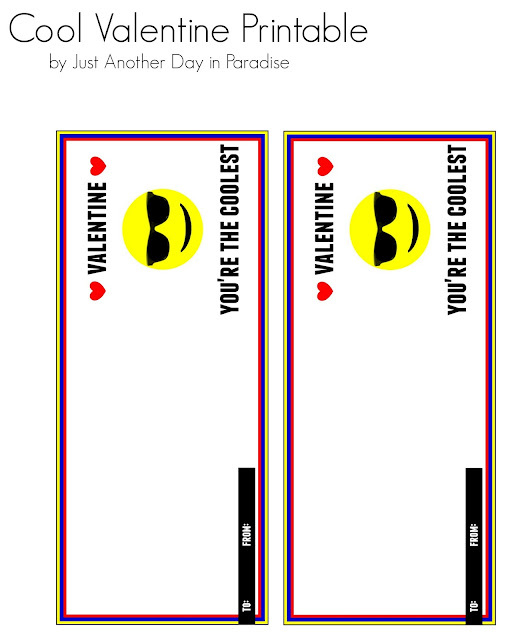 I made these You're So Cool emoji valentines. Whew. One more classroom valentine done. 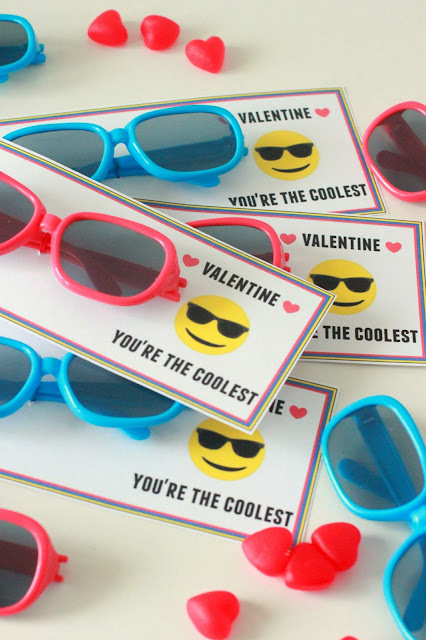 I have four classroom valentines to make this year. It will be the first and only time I will have four to make. Next year Oldest will be in Middle School and will be too cool to hand out valentine's. I have already shared his tweenage approved Valentine for this year over at Skip To My Lou. But today it is all about this valentine, which Little is not too cool for. In fact, he is just the right amount of cool. I found these sunglasses at The Mart (Walmart if you don't know my lingo) in the party department. They were super affordable. I made up this valentine using PicMonkey, and made it available in a pdf. I attached the sunglasses with a little thread and some tape on the back. These were super fun, super easy, and very kid approved. Short, sweet and to the valentine point. 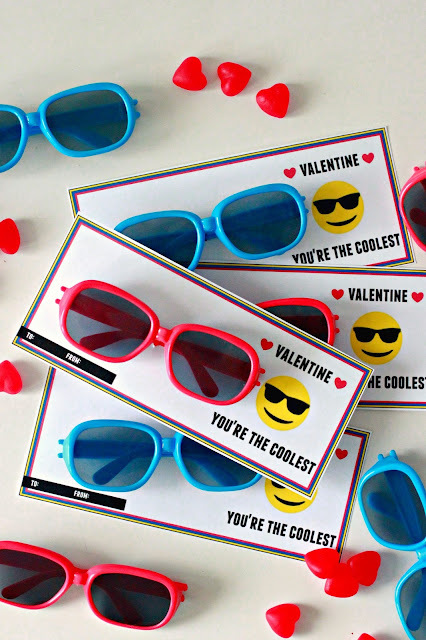 Download You're So Cool Valentine HERE. Do you need more classroom valentine ideas? 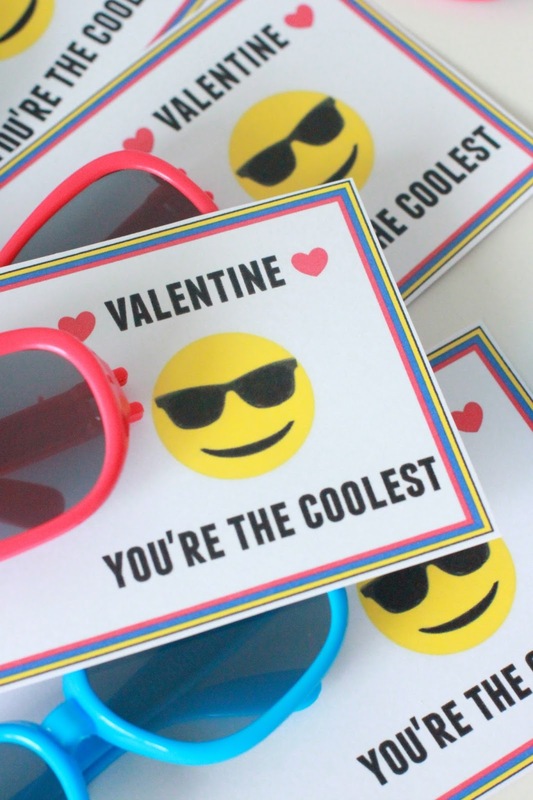 Check out this post of Boy-Approved Valentines. These are super cute Larissa!! !